This article only deals with General Awareness part. The approach to Maths, English and reasoning, covered in separate articles. SSC-CGL exam is made up of three stages: Tier 1, 2 and 3. Those who qualify in the Tier-I, have to appear for Tier-II. But unlike the UPSC mains, the SSC tier-II doesn’t have descriptive paper. You just have to face Multichoie Questions (MCQ). These two papers are compulsory for all candidates. But If you’re applying for Statistical Investigator Grade-II, then you’ve to appear for one more paper, that is Paper III for Statistics, worth 200 marks. For some posts you’ve to appear for Interview worth 100 marks. For some posts, you’ve to give computer proficiency test or Skill Test. For example, Candidate for Tax Assistant job, will have to give test for data entry speed. Please note: The main objective of above “Descriptive-Paper” reform is to prevent cheaters and dummy candidates. So there is no need “fear” the descriptive paper. If you’ve the guts and brains to clear Tier II (Mains), then you can handle this descriptive paper without much trouble. And SSC chairman says if possible, they’ll conduct this descriptive paper via computer. Anyways, let’s start. The studyplan is divided into four articles. General Awareness Tier I Explained here in this article. Here you’ve to face Multichoice questions on General Awareness, English, Maths and Reasoning. (50 questions each). This article only deals with how approach General Awareness. How to approach Maths, Reasoning and English= will be explained later, in separate articles. First of all, throw away Manorama Yearbook from your study-desk. That book doesn’t have much use for competitive exams. “S+S+C”= Static + Science + Crap. 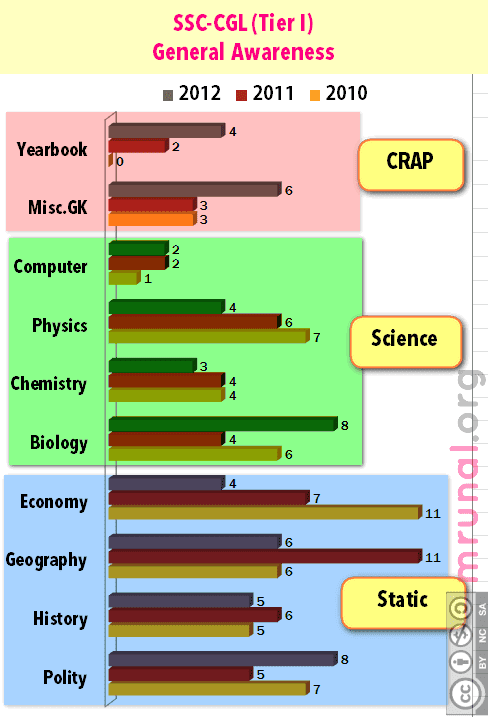 In the SSC exams, new players tend to pay too much attention to the ‘crap’ part. They keep buying books and magazines all the time as if there is nothing else to prepare except current-affairs. I’m not saying ignore current affairs, all I’m saying is, “don’t invest too much time and energy in them”. On the other hand, If you look at “bigger picture”, almost 80% of General awareness questions come from Static + Science portion alone. Hence they should form the priority. If you’re simultaneously preparing for UPSC or State PSC exams, then just go with Indian Polity by M.Laxmikanth. So, if you’ve Laxmikanth, don’t bother much with NCERT/NIOS/Lucent etc. But If you don’t have Laxmikanth there is no need to specifically buy/borrow Laxmikanth for SSC Exam alone, because the questions are very rudimentary in nature and can be solved via NIOS zip files (given @Bottom), in combination with Lucent. Also prepare current affairs associated with polity. But “major” current affairs only. For example Shree-Krishna Committee =Telengana. Who is the chairman of new Finance Commission, who is the new CJI etc.etc.etc. In SSC exam, History means Indian History only. So donot waste time preparing World History. Sometimes one question may comes, but that is not worth the Cost-benefit. Ancient Harappa, Vedic Age, Maurya, Sangam etc. Medieval Delhi Sultanate, Mughals etc. Modern 1857 Sepoy Mutiny + Freedom struggle. Start with TN State education board books class 11 and 12 (they’re better than NCERT for the history portion, free download at bottom). Then use Lucent to fill up the missing details. SSC questions on History, are mostly from the important personalities and events. So, Please donot waste too much time in mugging up trivial names, dates etc. Culture= art, painting, dances, temples, mosques, Architecture etc. Most of the “Culture” happened during Ancient + medieval. So, you’ll simultaneously prepare it while going through NCERT Textbooks. Also use the NIOS ZIP file. Given @Bottom of this article. Lastly Lucent to fill up the missing details. That pretty much sums up History + culture. Although revision =essential. For SSC exam, we’ve to prepare only Physical Geography + Indian Geography. Lately SSC too has started asking questions on Biodiversity and environment. Although they overlap with biology/science portion. NCERT Geography Class 11, 12. Environment and biodiversity ZIP file of NIOS. Finally Lucent to fill up any missing details, such as names of multipurpose river valley projects. But here again, don’t waste time with numbers. Generally very straightforward questions based on definition and concepts of Economy. NIOS Zip file given @bottom. This concludes reading sources for “Static.” Moving to the next important portion for SSC-General Awareness. uses, common names and composition of various chemicals. Best way to prepare science=NCERTs. Science tech related current affairs are usually not asked in SSC exam. At most sometimes current-affairs question on NASA satellite launch etc. So just keep an eye on major events, without doing any Ph.D. Candidates from science background shouldnot ride with overconfidence. Because whatever you have learned in college = not asked here. And whatever you had prepared in highschool= long evaporated from your memory. Hence start with the basic NCERT Science textbooks of Class 7 to 10, irrespective of graduation. 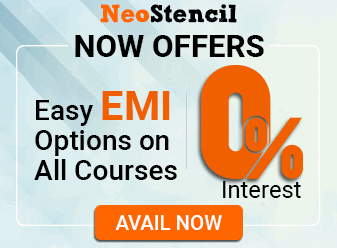 NIOS material almost overlaps with whatever science is discussed in NCERTs. So not much point in doing “double-majoori”, unless you’ve time and mood. Based on SSC-CGL Tier I conducted in July 2012. PIN=persons in news, like xyz person won ICC cricketer of the year award, new CJI, new army chief, sports winners etc. There is no dearth of magazines and books circulating this garbage. But always remember, your mind has a limited memory capacity. So prepare the big personas, major events, avoid the small timers. Same for books and authors. Same for places in news. Most importantly: these things don’t stay in long term memory. Hence frequent revision essential. Competitionmaster.com (they release monthly updates) OR Pratiyogita Darpan (PD). Why should you practice old papers? SSC recycles questions. You solve 10 papers, then 11th paper has hardly anything new, surprizing or challanging for you. Google search will lead you to many download links for SSC papersets. 1) scanned PDF files are in very poor quality. + the half mile long watermark only blocks the view= very tiresome for the eyes to read. So if you can afford, just go for the Paperset of Kiran Prakashan. Good thing: they give detailed solution of each and every question. Same way, if you can afford, buy the NCERT textbooks from market (even second hand-used books will work). Revise minimum three times, practice a few old papers. General awareness shouldn’t give much trouble. Sir, me self study kar ke ssc cgl exam ki preparation krna chahta hu. Pls give me suggetion and books. I AM VERY GLAD I GOT UR WEBSITE , I WISH I COULD HAVE GOT ALL THIS STUFF A LONG BACK. I am ex serviceman. after completion of 28 years of service in the Army, my present age is 49 yrs 01 month/ Can I eligible to appear in SSC CGL 2017 exam. Thanks for sharing detailed information about SSC CGL General Awareness syllabus. The knowledge provided by you for every topic is very helpful for us. It’s get very easy to understand the syllabus after reading your article. It would be great help . Sir plz tell me..That kon sa book english ke topic wise k ly follow kry..jesy noun hy to sirf noun ka isi trha all topic with answer..? Tier 1 exam paper time is 1 hour ,no. Of questions are 100 and -ve marking 0.50 for each wrong answer acc. to 2018 notification.